Thank you for visiting Techie Zone. Here I will introduce you to this blog as well as the blogger behind this. Techie Zone is a rapidly growing tech blog which is updated daily. It has been re-incarnated from it’s alter-ego which was previously born at http://techiezone.in. It was started on 16th Feb 2011 and has already been seen by search engines and web surfer as evident by it’s Alexa ranking. Techie Zone caters to the need of every segment of computer and Internet user. We provide tips and tutorials on the usage of computer as well as fixing issues with your computer. We cover a broad range of tech topics like computer tips, Internet tips, blogging tips, WordPress tips, Webmaster tips, Mobiles/Gadgets review and money making resources. Plans to have a video tutorial section for novice user in in the pipeline. A support forum will also be integrated soon. The posts in Techie Zone are written in very simple English. To keep yourself updated you can become a fan of our Facebook Page or follow us in twitter @techiezone or you can even subscribe to Techie Zone. 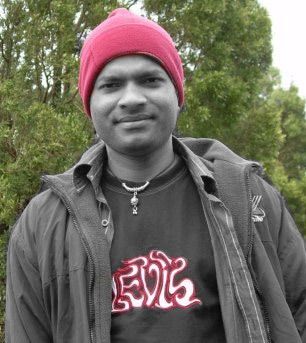 Ajay Kumar Meher also known as AJ among his friends, is the man behind this blog. He hails from a small but fast growing industrial town in Western Orissa in India called Jharsuguda. Ajay has a B.Tech from Utkal University and he is a Microsoft Certified Professional. Ajay has also co-founded a web start-up called Qlogix Solutions along wth his wife Neha. Currently he works in an MNC IT company and is living a happy life with his beautiful wife in Bangalore. Ajay has keen interest in computers and Internet. He was introduced to the blogging world in the year 2006 when he founded a blog called I am not a geek on the blogger platform. Later he moved to WordPress.com and then self hosted WordPress. He created his first independent blog on self-hosted WordPress at Techie Zone and this blog is the re-incarnation of that. He likes to leave in the virtual world and is quite active in social media and social network.